Pallet Collars + Pallets = Pallet Boxes. 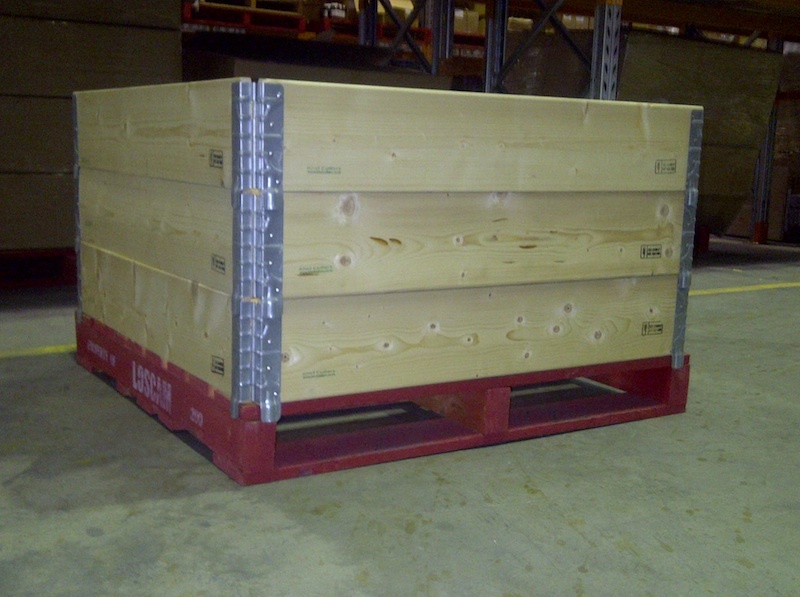 Pallet Collars in Australia & New Zealand - Pallet Collars - durable freight and storage packaging. PALLET COLLARS - a smart returnable transport and storage packaging system which saves you money, time and space! If you are looking for an efficient and cost-effective way to pack, store, ship or display your goods, Kiwi Collars are here to help. Our PALLET COLLARS (pallet surrounds) will turn your standard shipping pallets into pallet boxes, shipping crates of any height in seconds! They will reduce your product shipping costs, will guarantee cost-effective use of packaging and will basically eliminate your transport packaging waste (e.g. shrink wrap). Pallet Collars will also increase work safety in your warehouse. It is a cost effective, standardized, yet highly flexible, modular returnable packaging virtually for any industry from fresh produce growers to automotive components suppliers. One product - multiple applications! The pallet collars are designed to fit over standard size shipping pallets (for example, 1165 x 1165 mm, 1200x1000 mm, 1200 x 800 mm or 48x40") and can be stacked as high as needed without any tools. Each collar is 195 mm (7.7") high. Feel free to download our BROCHURES and check out our PHOTOS page featuring our Pallet Collars in action! your product in your warehouse or while in transit, choose PALLET COLLARS! so wherever you are, we are here for you.